Experience the benefits of this ancient healing method in our modern, state-of-the-art facilities. Get relief from pain and tension without pharmaceuticals, in a comfortable, relaxing environment. 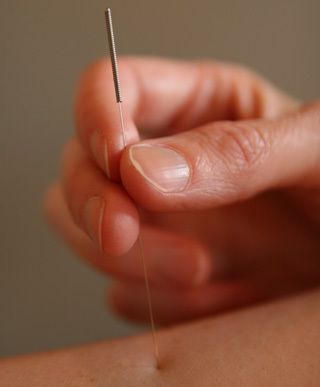 Our acupuncturists are thoroughly trained, fully licensed and highly experienced. Since 1994, Dr. Richard Bryan has helped thousands of balance patients address a broad range of conditions including back, hip and leg pain; migraines and headaches; joint stiffness and swelling; neck and shoulder pain; and more. With an emphasis not just on pain management but a full return to functionality, Dr. Bryan will consult with you on an individualized program of relief, rehabilitation and restoration. You’ll also be counseled on exercises and self-care you can incorporate into your daily activities to help maintain our renewed health after your treatment program. For alleviating stress and soothing stiff, sore muscles and joints, massage’s value is well-known. Less well-known is what research increasingly reveals: therapeutic massage actually speeds healing from many injuries. At balance, our massage options are extensive, and every one is administered by a certified therapist. Whether you’re recovering from injury, or simply from the effects of a difficult day, you’ll find relief with us. Dr. Felty teaches that primary care is self care for the mind, body, emotions, and spirit. Her goal is to encourage and empower others to wellness and wholeness with simple and safe solutions that can be applied every day. Dr. Felty is dedicated to improving people’s health and self healing abilities by addressing the root cause of illness, rather than suppress it. Renato Hess provides specialized one-on-one care to promote healing and education, so a patient can return to his or her regular daily activities. Every session, he gives home exercises with pictures and explanations to facilitate a quicker rehab. Providing consistent and progressive rehabilitation maximizes the well-being and quality of life of a patient, even after discharge from physical therapy. Strength … confidence … grace of movement … unity of body and mind. Those are the benefits of Pilates, a century-old health discipline. The entire Pilates staff at balance has been trained at and certified by the studio of Romana Kryzanowska, Joseph Pilates’ own student and the leading authority on Pilates today. Let our uniquely qualified instructors introduce you to this profoundly empowering system of movements and exercises in a supportive, welcoming environment.